The opioid epidemic continues as one of America’s greatest public health crises as healthcare officials, public officials and countless Americans struggle to prevent opioid abuse, addiction and death. In a blog from 2017, Laurie Sullivan explores how one solution, known as The Smart Pill Drug Delivery Device, could be used to curb the crisis. Another possible solution? 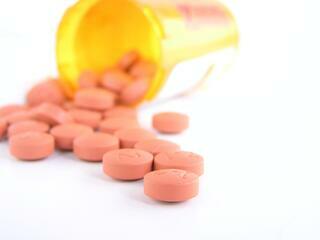 Prescribing more non-opioid painkillers. Click here to be notified when the BCC Research report “Non-opioid Pain Treatment: Global Markets to 2022” publishes later this month. Smart pills are increasingly influencing our health. They are noninvasive and have redefined diagnosis, disease monitoring, and treatment adherence. By 2021, US sales of smart pills may double, reaching $1.2 billion. The global market for smart pills is poised to exceed a 20% compound annual growth rate (CAGR) during the next five years, according to BCC Research’s recent study, Smart Pills: Applications and Global Markets. High-growth application areas include capsule endoscopy, patient monitoring, and delivery of therapeutic agents. The adoption of advanced ingestible medical sensor technologies is a key growth driver. Smart pill sensors measure various data points and transmit these to an external computer or smartphone platform. From there, the data can be used to monitor and track disease during long-term therapy. Smart pill technology far surpasses that of traditional drugs and devices. As technology has evolved, patients and practitioners have gained access to a variety of smart pills to diagnose disorders of the gastrointestinal tract, monitor vital signs (blood pressure, temperature, pH levels, et cetera), and record food and medicine intake. In 2016, US sales of smart pills were $468 million, accounting for 55.1% of the global market. Increasing adoption in Europe and Asia will drive growth of the industry. From 2016 to 2021, the European, Asian, and rest of the world (ROW; i.e., excluding North America, Europe, and Asia) markets should increase at CAGRs of 21.1%, 23.0%, and 21.5%, respectively. Growth in these regions is attributed to their large patient populations, coupled with the increasing awareness of gastrointestinal diseases and their diagnostic and treatment methods. Changing lifestyles (including shifts in dietary patterns) are also affecting gastrointestinal health and fueling the growth of smart pills. A particularly clever innovation could help stem the tide of opioid addiction. In May, the US Patent & Trademark Office issued a patent on a potential breakthrough solution to the opioid epidemic. The patent is for a drug delivery and abuse deterrence device, called “Smart Pill Drug Delivery Device,” which will be submitted to the US FDA for marketing clearance. To that end, the FDA has provided Pop Test Abuse Deterrent Technologies with a roadmap of guidances to get there. The Smart Pill Drug Delivery Device prevents overdoses of prescription opioids, squashes the ability to produce counterfeit opioids, and precludes the ability to divert pills from the individual to whom they were prescribed to other users. The Smart Pills communicate with each other as well as “talk” to the dispensing pharmacist and, sometimes, to law enforcement officials. The Smart Pills know what the prescribed dosage is for a patient. If it is exceeded, the Smart Pills warn each other not to open their capsule to release its medicinal contents, thereby preventing an overdose. For more information, visit www.SmartPillsSaveLives.com. The Smart Pills also play the role of a medicinal traffic cop. Experts say the Drug Enforcement Administration will view this type of technology as a method to identify and to confiscate illegal opioids. Interrogation of the Smart Pills directly (e.g., using a wand, via wireless communication, or by other methods) means there will be no doubt as to the content and origin of each pill. The Smart Pills drug delivery system provides digital accountability for every pill produced—from manufacturer to shipper to pharmacy to patient. If a Smart Pill is diverted from its targeted destination, the Smart Pills will self-destruct, thus rendering the pills useless to a thief. Capsule endoscopy, rather than a surgical procedure, offers a new option for doctors. Capsule endoscopy is a way to record images of the digestive tract for use in medicine. The capsule is the size and shape of a pill and contains a tiny camera. After a patient swallows the capsule, it takes pictures of the inside of the gastrointestinal tract. These images can then be used for the diagnosis of intestinal diseases. The technology has emerged as an effective management and diagnosis technique for various types of gastrointestinal disorders such as Crohn’s disease, colorectal cancer, obscure gastrointestinal bleeding, polyposis syndromes, and tumors of the small bowel. Gastrointestinal capsule endoscopy is one of the largest applications for smart pills; others include patient monitoring and drug delivery. There is increased interest and willingness on the part of patients and providers to opt for this mode of treatment due to easy tracking of bodily functions. Smart pills offer continuous and timely data collection and transmission for better disease management. Faced with growing competition from generics, pharmaceutical companies are realizing that devices which control drug release or can report on a patient’s condition can add new value for patients and doctors. The drug delivery segment of the smart pills market is growing at a rapid pace and has strong potential within the pharma industry. This expansion is expected to continue throughout BCC Research’s forecast period. For example, the combined drug–delivery device smart pill may qualify for a new indication and patent, resulting in marketing exclusivity and the opportunity to compete against generic drugs. However, the regulatory hurdles associated with smart pills are among the biggest restraints for this segment. Most smart pill technologies are coming from medical device companies, which are not always familiar with drug regulations. Furthermore, smart pills have more than one mode of action and thus may be subject to more than one set of regulations. Regulatory challenges exist in developing smart pills that combine an approved drug with an FDA-approved ingestible sensor. However, the FDA seems to be positive about this technological advancement. There are ethical concerns, privacy issues, and possible health risks associated with the insertion of smart pills into the body. Among the major barriers facing the smart pill capsule endoscopy segment are availability and affordability issues. These are due to the higher cost of the devices and lack of feasible reimbursement schemes in developed and developing nations of Europe, Asia, and North America. Battery life is a concern with some capsule endoscopes. Nonetheless, technological advancements that enhance the features of smart pills will drive their adoption rates for patient monitoring, diagnostic imaging, and drug delivery. 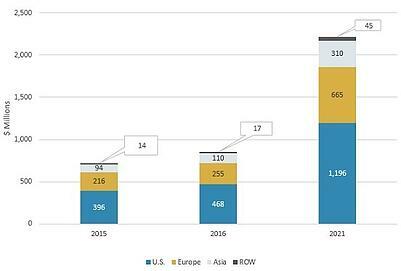 BCC Research projects that strong growth in the global market for smart pills is likely to continue—or even accelerate—in the years beyond 2021.